This or blood sugar is a disorder of blood sugar metabolism which may result in diabetes in later life. It is a condition in which the pancreas produces too much insulin, causing the blood sugar to drop. It sometimes occurs in healthy people some hours after a meal rich in carbohydrates, especially following muscular exertion. It is frequently found in the first few days of life, especially among premature infants. It is a serious disorder as the brain cannot function properly when the blood sugar level is too low. Like all other organs of the body, the brain receive its fuel from the diet. But it can use only the sugar produced by the body from carbohydrates. Unlike many of the body tissues, it cannot store its fuel. Therefore, it must get a constant supply of sugar through the bloodstream. Mental disturbances caused by subnormal blood sugar levels can seriously affect a person’s life. Hypoglycemia is a condition in which the blood sugar level of a person dips down below the normal level. This leaves you unable to perform daily activities due to the decrease in energy levels caused by low blood glucose levels in the body. It usually affects adults and children over 10 years of age as a side effect of taking diabetic medication, although other ailments and medications can also bring it on. A craving for sweets and starches in excessive amount between meals is the first sign of low blood sugar level . When the blood sugar level falls much below normal, symptoms such as nervousness, irritability, fatigue, depression, disturbed vision and headache appear. Symptoms of this include anxiety, trembling, heart palpitations, sweating, and dilated pupils, trembling, numbness, absent-mindedness, dizziness, palpitation of the heart and some sexual disturbances. Most hypoglycemia patients feel hungry and eat frequently to get over the feeling of weakness and emotional irritability. They feel tense if they have to go without food for several hours. Symptoms of this include anxiety, trembling, heart palpitations, sweating, and dilated pupils. Many symptoms can occur or become more severe after eating. Hypoglycemia is usually caused by an excessive intake of refined carbohydrates and sugar foods. These substances cause the pancreas, the adrenal gland and the liver to lose their ability to handle the sugar properly. Other causes of low blood sugar are a tumour, disturbed functioning of the liver, pituitary gland or adrenal glands. Stress intensifies this condition as it weakens the adrenal glands and starts a faulty pattern of glucose intolerance. The majority of hypoglycemic suffers have Diabetes. Due to being diabetic their body struggles to bring blood sugar levels back within a normal range should they start to fall. This can leave you feeling hungry, anxious, weak, light-headed or sleepy with excessive perspiration and dizziness. Usually the reaction is not serious and can be treated by eating or drinking sugar or carbohydrate rich products. However, it is important to note that potential symptoms should not be ignored as, left untreated, hypoglycemia can cause a person to lose consciousness. Hypoglycemia can also affect people who do not suffer from diabetes. There are two types of hypoglycemia not related to diabetes - reactive and fasting hypoglycemia. Fasting hypoglycemia occurs when people go periods without food such as overnight or after exercise. This is not a common condition in people without diabetes and is usually associated with another illness or medication. While, reactive hypoglycemia happens within about 4 hours of eating a meal. Should you suffer from reactive hypoglycemia the following steps have been suggested by some health officials to counter the symptoms - eating little and often, exercising regularly, having a varied, high fiber diet and cutting out or reducing your intake of sugary foods. If you do suffer from hypoglycemia there are also some precautions that you could think about taking. For example, wearing a bracelet with the condition on it in case of emergencies. Telling your friends and work colleagues what your particular symptoms are so they can watch out for you and remind you to eat when you appear to become irritable or fatigued. Keeping suitable snacks on hand and remembering to eat regularly to keep your blood sugar levels steady, limiting alcohol consumption and finally checking your glucose levels before using heavy machinery, driving or doing any strenuous exercise. Hypoglycemia is a common problem of the diabetics. The most common sign of hypoglycemia is scarce blood sugar in the body. Actually, hypoglycemia causes the blood sugar to pass out via urine. This is notwithstanding the fact that different persons suffering from this dysfunction may have different types of symptoms. Mentionably, hypoglycemia retraces its steps the moment the blood sugar level turns normal. Sugar is a good slave but a very taxing master. Sugar is one of the main sources of energy or fuel for the body. Now, our body extracts sugar from the meals we have. Sugar can be carbohydrates which is a complex form of this stimulating source or just plain sugar. It is rather interesting to note that our body always keeps a buffer stock of sugar in the liver. This vital storehouse of sugar is called glycogen. This storage of sugar provides ready backup of sugar during exigencies when the body badly needs to look for sugar reinforcements. Mention may be made of some really trying times as too much of physical labor or during long periods of fasting. Further, the body releases the requisite additional quota of sugar via a complex biochemical procedure. This method is known as gluco-neo-genesis. Its simplest meaning is to produce new sugar. What is more, the process changes the glycogen into sugar. So we see how important sugar is for our body. Hypoglycemia happens whenever the body fails to regulate or supply such emergency sugar reinforcements. These problems appear due to malfunctioning of our pancreas. During such times, the natural capacity of the body to produce insulin gets affected. Our body’s blood sugar level is automatically kept under control by insulin. This hormone secreted by the pancreas carries out the job by lowering the blood sugar level the moment it crosses the danger stage. In a normal human being, the pancreas is the sentinel ever on vigil against the attacks of excessive blood sugar. The method is akin to the radiator fan in your car which starts automatically whenever the engine gets heated up beyond the requisite level. Hypoglycemia is intimately connected with the typical metabolic ailment known as Diabetes mellitus. The ailment, diabetes, can definitely be kept under control but cannot be cured by the modern-day medications. It is a medical state that is chronic. In simple words, diabetes or hypoglycemia remains a person’s lifetime mate. The diabetics usually posses high levels of sugar in their blood stream. Incidentally in the good olden days, diabetes was initially identified with ‘sweet urine’ and too much loss of muscles. Such sweet urine is the result of hypoglycemia when the body produces glucose more than its requirement. What is more, the excess glucose gets circulated in the blood. Only when the pancreas is functioning normally can its insulin hormone control the high level of blood sugar. Patients suffering from diabetics (Types 1 and 2) complain of hypoglycemia. A person suffering from hypoglycemia generally encounters problems in controlling the blood sugar level. This again results because that person’s pancreas failed to either produce the sufficient quantity of insulin or totally failed to produce any insulin. The consequence is hyperglycemia. There are many causes of hypoglycemia. Diabetics undergoing long periods of fasting can have hypoglycemia. This happens because their levels of insulin circulate fast. And, the fasting phase suddenly brings down this high circulating level. Moreover, certain drugs can also trigger off hypoglycemia. Even those persons who have inbuilt resistance to insulin may complain of hypoglycemia. Hypoglycemia can be caused also by certain tumors which produce insulin. Such tumors are called insulinomas. A healthy diet is essential in treating hypoglycemia. Eliminating sugar from the diet, or greatly reducing it proves to have positive results. This includes candy, cookies, pastries and other types of sweets commonly eaten. Care should also be taken to reduce the amount of alcohol and caffeine intake. Choose foods high in complex carbohydrates and high in fiber. It is also important to eat regularly at the same time each day. Do not skip meals or delay meals unnecessarily. Foods with artificial sweeteners can also prove damaging, and reducing the amount of this type of food will benefit greatly. Get in the habit of reading the labels on food products to avoid hidden ingredients. Use of nutritional supplements will also alleviate symptoms of hypoglycemia. Chromium, fish oil and magnesium have been proven good dietary supplements. Chromium is especially recommended as a diet supplement. Also, selenium and N-acetyl cysteine are recommended. Vitamin additions to the diet may be helpful. The most common vitamin recommendation is niacinamide. Alternately, add the use of a multivitamin. There are psychological conditions that may cause the onset of hypoglycemia and it is important to reduce those factors. Ensure a full night’s sleep is attained as sleeplessness can aggravate symptoms. Learning relaxation techniques will also help. Try meditation or other calming exercises to reduce stress levels. Learn to control the rhythm of breathing in case of distress. This calming ability will help offset any ill effects. Being active and exercising is a valuable health benefit. Not only does it keep the body healthy and reduce possible effects of hypoglycemia, it also is a relaxation technique. Do not overdo it, however. Exercise at a comfortable level several times per week, employing aerobic fitness such as walking, using a treadmill or bicycling. Vegetables which can be taken in hypoglycemia are asparagus, beets, carrots, cucumbers, egg-plants, peas, radishes, tomatoes, spinach, kale, lettuce, beans, baked potatoes. 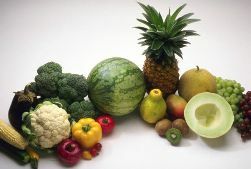 Fruits which can be taken are apples, apricots, berries, peaches, and pineapples. Consumption of citrus fruits should be limited. Foods rich in vitamin C , E and B-complex are highly beneficial in the treatment of low blood sugar. Vitamins C and B increase tolerance to sugar and carbohydrates and help normalise sugar metabolism. Pantothenic acid, and vitamin B6 help to build up adrenals which are generally exhausted in persons with hypoglycemia. Vitamin E improves glycogen storage in the muscles and tissues. The patient should take vitamin C in large doses from 2,000 to 5,000 mg.; B6 50 mg. and vitamin E upto 1,600 lu daily. Proper rest is essential for those suffering from low blood sugar. A tranquil mind is of utmost importance in this condition. Nervous strain and anxiety should be relieved by simple methods of meditation and relaxation. The high animal protein diet generally prescribed for hypoglycemia is not suitable for this disorder. It may help control the condition temporarily, but it is harmful in many other respects and may result in other diseases like heart trouble, arteries, kidney problems and cancer. The ideal diet for hypoglycemia should be based on three basic food groups, namely grains, seeds and nuts, vegetable oils. Seeds, nuts and grains should be the main constituents of the diet. Seeds and nuts should be taken in their raw form. Grains, in the form of cereals, should be cooked. Cooked grains are digested slowly and release sugar into the blood gradually six to eight hours after meals. This will keep the blood sugar level normal and constant for a long period. Persons suffering from low blood sugar should take six to eight small meals a day instead of two or three large ones. Eating raw nuts and seeds such as pumpkin or sunflower seeds or drinking milk, butter milk or fruit juices between meals will be highly beneficial. All refined and processed foods , white sugar, white flour and their by-products should be completely eliminated from the diet. Coffee, alcohol and soft drinks should also be avoided. The consumption of salt should be reduced as an excessive intake of salt causes loss of blood potassium, which causes blood sugar to drop. The following is the menu suggested for hypoglycemia. On rising : Fresh fruits such as apples,peaches, melons, berries, avocado or a glass of fresh fruit juice. Breakfast : Nuts, seeds, fruit, cottage cheese and buttermilk. Mid-morning : Fruit, fruit juice or tomato juice. Lunch : Cooked cereals and milk. Mid-afternoon : A glass of fruit or vegetable juice or a snack consisting of nuts. Dinner : Vegetable salad with a cooked vegetable from among those allowed, one or two slices of whole wheat bread,cottage cheese and butter milk. On retiring : A glass of milk or buttermilk. Yogasanas like vakrasana, bhujasana, halasana, sarbagasana and shavasana and pranayama like kapalbhati and anuloma-viloma will be beneficial. A prolonged neutral immersion bath is also helpful in relieving mental tension. Here are a few significant vitamins, minerals and supplements against Hypoglycemia and or diabetes. Vitamin D is a nutrient found in the body that contains calcium and phosphorus, chemicals needed for bone growth and strength. It is formed on the skin, when cholesterol at the subcutaneous level interacts with the ultraviolet rays of the sun. Traditionally known as the nutrient to combat osteoporosis (bones becoming brittle due to loss of calcium), Vitamin D has been tested and found to prevent diabetes as well. A research conducted in Finland, where people are exposed to very little sunlight, proved that Vitamin D protected children against high blood sugar, a first sign of diabetes. The experiment was conducted on 12,000 children who were administered Vitamin D from birth (1966). Researchers published in 2001 that they have observed that 80% of the risks for diabetes were reduced, mainly preventing high blood sugar, than that of those that did not receive Vitamin D supplements. However, Endocrinologists desire more validation for this result because they have found no correlation yet between the efficacies of the Vitamin with the nature of diabetes. They also caution that too much of Vitamin D is toxic, thus the administration must be under the supervision of a doctor. Next up in the alphabet, Vitamin E. For the past decade, health and nutrition experts have concluded that antioxidants help combat free radicals, bad cells in the body that cause diseases like cancer and type II diabetes, together with a healthy diet and lifestyle. Well, since type II diabetes is a condition of voluntary cell dysfunction, antioxidants can help in this aspect. Antioxidants include among others, Vitamin E.
Vitamin E is a fat-soluble nutrient found in milk, plant leaves and wheat germ oil. It has been proven to aid reproduction in both lab experiments and actual human experience. A widely used form of Vitamin E, alpha-tocopherol is ingested into the body in the form of gel capsules. Though its effect in diabetes prevention is real, an increase in the vitamin intake was not proven to be proportional to the level of prevention. Minerals are inorganic nutrients that are essential in normal bodily functions as well as combat diseases, like diabetes. Magnesium and potassium are minerals that aid in carbohydrate and protein metabolism. The proper breakdown and synthesis of carbohydrate into simple sugars is a function that diabetics lack. With the aid of the two minerals, it can help prevent the disease. Chromium and zinc facilitate the recognition of insulin in the body. A third type of nutrient that fight the problem is organic supplements. Blueberry is a fruit that is rich in antioxidants, which can address free radicals that cause body cells to malfunction. They particularly improve sight, which can help alleviate diabetic blindness. Mamordica Charantia (bitter melon) is a vegetable that is rich in nutrients that enhance the production of beta cells, thus improving insulin production by the pancreas. In the Philippines, where the plant originates, it is a recommended supplement. Chinese herbal medicine also swears by this plant and actually uses it traditionally to address sterility, skin diseases and gastro-intestinal diseases. If one is able to tolerate the bitter taste, then it promises a high chance of improving pancreatic activity (by as much as 54%). Coupled with a sensible diet and healthy lifestyle, using vitamins, minerals and supplements like the ones above, can help fight the problem. If you are overweight and have diabetes then losing weight is a major priority for you. Use of a weight loss program is an obvious way to work on the problem but if you are diabetic you will know that you need to be careful about how you approach any change in your diet and food habits. We will walk through some of the issues here so you are clear that you can be on a weight management program in a way that will support rather than hinder your diabetes problem. The largest direct sale weight control/supplement company in the world is the Herbalife company. I am going to use their products here to show you how such supplements should be used and show you the pitfalls and the solutions offered by that style of meal replacement product. The same principles will apply to any weight loss/reduced calorie diet. They were established in 1980 and have always worked their nutrition/weight control program around a soy based amino-protein powder that is used as a meal replacement for weight loss and a meal supplement for weight gain. This is supported by a range of herbal and vitamin & mineral tablets to give a balanced nutrition foundation for weight loss and for wellness. There are a few issues here that can cause problems for a diabetic and the use of meal replacements can be a terrible challenge for diabetics. If you use one as directed on the can you will have extended times without food and without sugars and then end that “fast” with a large food/sugar hit. You will be aware that this can be a big problem. Fortunately Herbalife at the very start taught that food, especially herbs, gets into your body quickly and gets out quickly so any supplement you are using should be taken 3 times a day. This is considered fairly standard nowadays but back in the 80’s it was a revolutionary concept. The meal replacement is to be used for 2 meals and a “normal” meal of whatever you would normally have for the third meal. Vitamin and mineral supplements are used at each normal meal time. For a diabetic this does not work so you need to make adjustments. Instead of taking a nutrition “shake” in the morning and one at lunch you need to halve the powders and take half for breakfast, half for morning tea and then another half serve for lunch and the other half of the second serve for afternoon tea. This gives you a steady flow of nutrition and the stabilizing influence of the soy products that are the foundation for the shakes on a regular pattern. 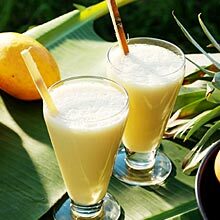 The sweetness in the shakes is generally fructose (fruit sugars) that are helpful in keeping diabetes stable. Using such a program in this manner tends to stabilize sugar levels. “Brittle” diabetics are people who tend to have sudden drops in blood sugar that can be very pronounced and even cause blackouts. In these cases a week or so on this regular nutrition program normally balances out the problem and the energy drops are much less prominent for them. The other controlling factor is the medium the shakes are mixed in. If you use a fruit juice then you are taking extra fructose. If you use Soy Milk then you have a different level of sugar intake. It is good to play with these as a tool to help balance the diabetes problem. A word of warning. If you are looking at any meal replacement it is wise to use one with a soy base. If, as many are, the shake is milk based then anyone with lactose intolerances or other milk allergies with have problems. If you are using a meal replacement program like this then the nutrition supplements play a big role in improving overall wellness and improving the metabolism and that also works towards a feeling of more energy and better weight loss results. Further reading through our articles on health issues will give you a body of information that will help you decide what options you have to deal with the underlying causes of your problem through giving your body the nutrition products that will assist you body to heal from the inside out. We wish you well in your search for solutions to this problem and your movement towards better health in all areas. Diabetes is a serious chronic disease and should be handled at proper time; otherwise it can create serious problems. It can pose a risk and can damage parts of the human body such as eyes, teeth, gums, blood vessels, nerves, and kidneys. This is the reason why the problem is responsible in most of the cases of adult blindness, kidney failure and lower limb amputations. And if left untreated, it can cause stroke, heart disease and eventually, death. 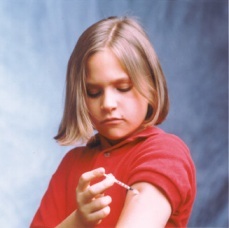 These problems are not only faced by adults, but also adolescents who get diabetes in their childhood. The important factor in treatment of the problem is to keep the blood sugar level normal at all times. or diabetes mellitus is a disorder of the metabolism where the body loses the ability to absorb sugar and starch from the blood. This disease now ranks among the top 10 causes of death in most developed and industrialized societies. The disease comes in two forms: Type I and Type II. Both, however, are similar in that both types involve the hormone insulin in the body and its ability to process sugar in the bloodstream. Too much or too little sugar in the body has adverse effects ranging from kidney failure, eyesight loss, and in extreme cases, coma. Diabetes is a devastating disease which can damage the vital organs of the body including the kidneys, heart and the eyes. While it does not really kill people, it can result in more serious and complicated diseases. The problem may not kill people as a general rule, but it makes them lose their eyesight, and leads them to kidney and heart problems, and later on, death. On the side bar of ADA´s Web site, look for "Diabetes Information". Under that sub-heading, click on "Take the Risk Test" for a quick online test to see if your are at risk. Under the same sub-heading, you will find "General Information", information for "Newly Diagnosed" patients, "In the News" for the latest updates, "Tip of the Day", and so much more. Be sure to check out the "Recipe of the Day". If you are at risk, see your doctor to be tested. development of Type II diabetes can be postponed. Through proper diet and exercise habits, you may never develop this disease. Use this article as your wake up call to start eating healthy. Guidelines for a diabetic diet rely on the proportion of carbohydrates to proteins and fats. The diet needs to provide some dietary fat to help prevent post-meal spikes in blood sugar levels. However, saturated fats should be limited to reduce the risk of heart disease. Protein should be kept to 20% or less of your daily calories in order to prevent or delay the onset of diabetic kidney disease. You can visit our health food products page here: Herbalife Health Nutrition Supplements to learn more about some of the nutrition products mentioned in our recommendations above. SITE DISCLAIMER: Do these products “cure” anything? Of course not… but it stands to reason that if you cleanse your body and feed it the finest nutrition available, giving it everything it needs in balance, on a daily basis, that your body will do what nature intended, and give you the best possible chance to fend off sickness and disease. This Hypoglycemia your health online information is not presented by a medical practitioner and is for educational and informational purposes only. The content is not intended to be a substitute for professional medical advice, diagnosis, or treatment. Always seek the advice of your physician or other qualified health provider with any Hypoglycemia questions you may have regarding a medical condition. Never disregard professional medical advice or delay in seeking it because of something you have read. Any natural and/or dietary supplements that are not FDA approved or evaluated must be accompanied by a two-part disclaimer on the product label: that the statement has not been evaluated by FDA and that the product is not intended to "diagnose, treat, cure or prevent any disease”. The Hypoglycemia resources on this your health online site are not intended to be a substitute for professional advice. While all attempts have been made to verify information provided in this publication, neither the author nor the publisher assumes any responsibility for errors, omissions or contrary interpretation of the web site Hypoglycemia subject matter herein. The what is Hypoglycemia your health online site Hypoglycemia contents are solely the opinion of the authors and should not be considered as a form of advice, direction and/or recommendation of any kind. If expert advice or counseling is needed, services of a competent professional should be sought. The what is Hypoglycemia author and the Publisher assume no responsibility or liability and specifically disclaim any warranty, express or implied for any products or services mentioned, or any techniques or Hypoglycemia practices described.